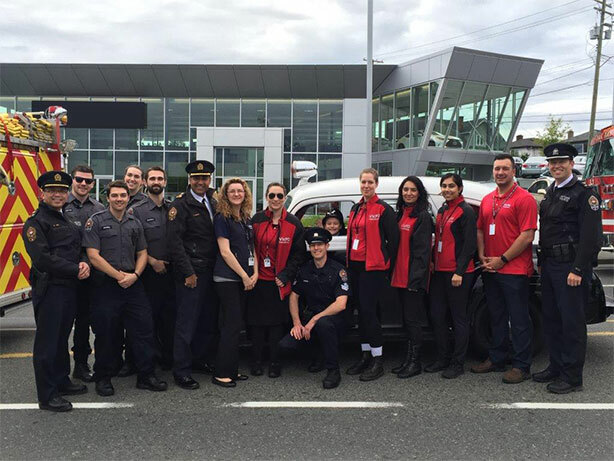 The overall goals of the volunteer program are to support the Victoria Police Department’s crime prevention activities, and to be of assistance to the public in the City of Victoria and Township of Esquimalt. The volunteer roster is extensive and includes individuals of all ages and diversified backgrounds. Some are students, office workers and retirees who are looking for a stimulating volunteer opportunity. Others are considering a career in law enforcement and want to gain invaluable experience. Front Desk volunteers greet the public, answer general enquiries, assist with the in-take of police information checks, and support the Front Desk Officer as required. All volunteers have the opportunity to participate at special events and with special projects. In addition, volunteers may take on a leadership role as program leaders or project assistants. Why volunteer with the VicPD? The first step in the application process is to pick up a volunteer package at the Victoria Police Department Headquarters, 850 Caledonia Avenue. Once the application is completed, return it in person. Bring 2 pieces of official ID, including one with a photo, to be photocopied by the Front Desk Volunteer or Officer, and added to your package. Once we review your application, we will contact you regarding the next steps.